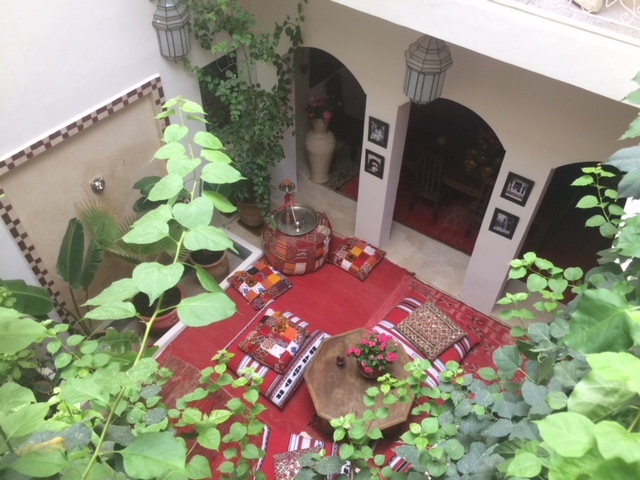 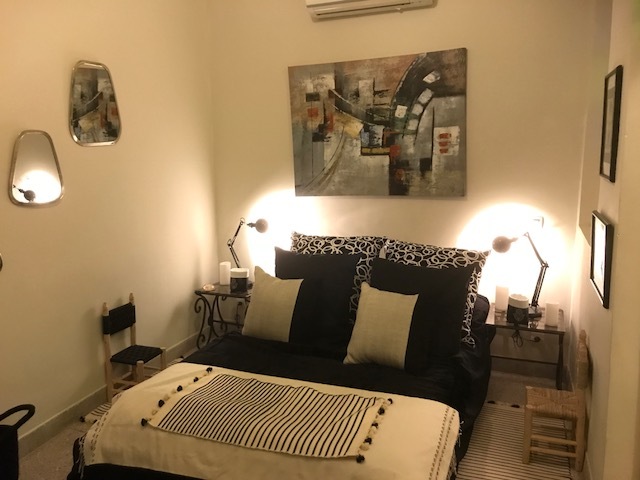 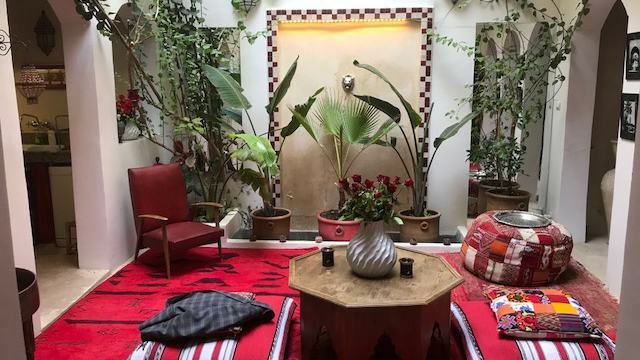 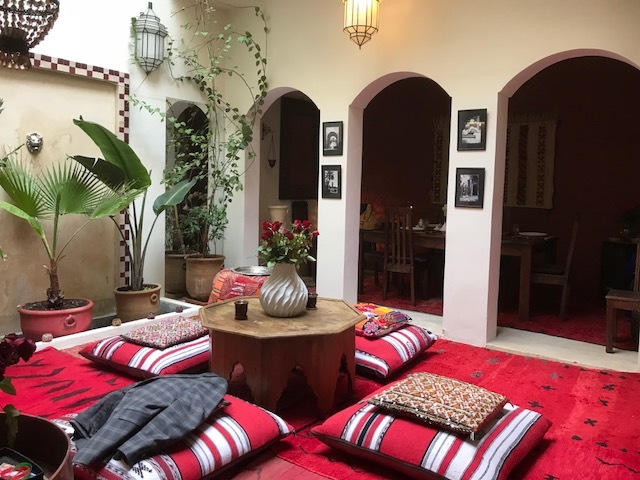 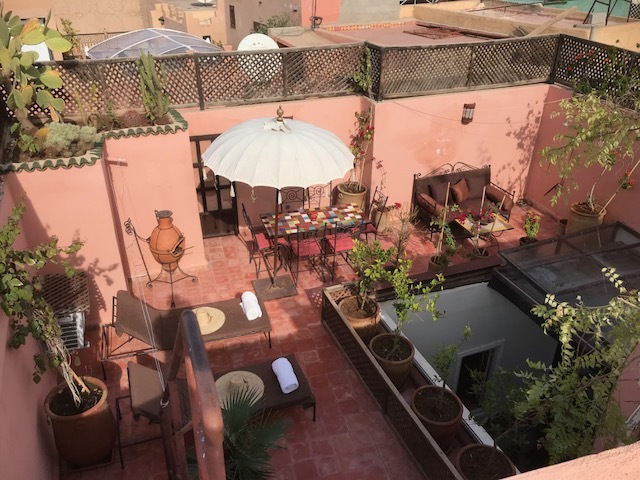 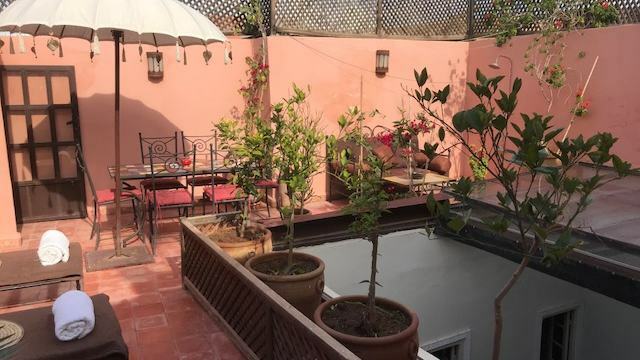 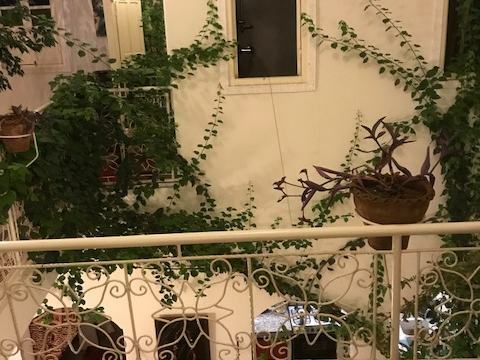 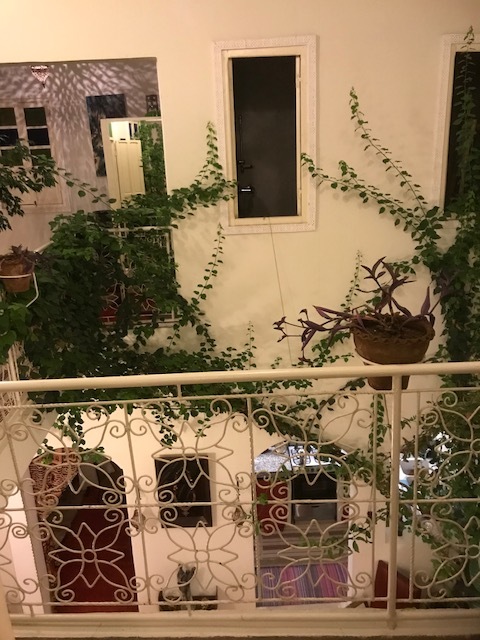 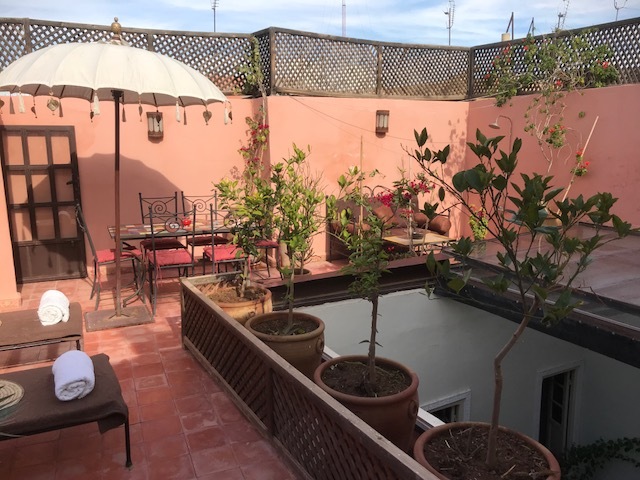 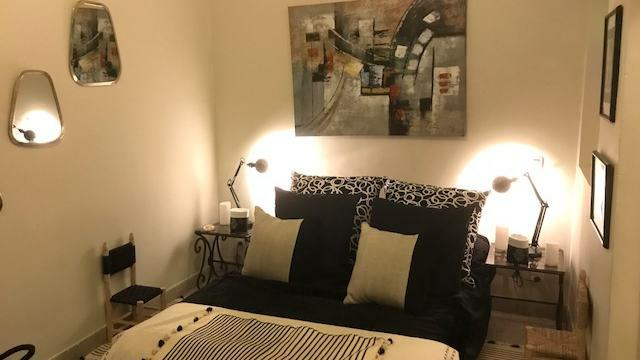 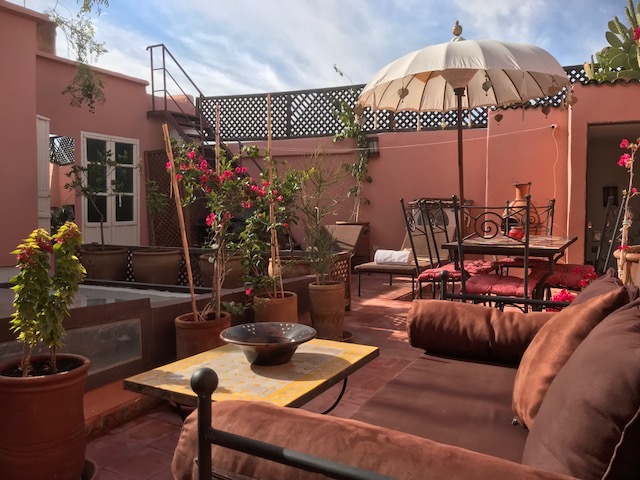 Located in the heart of the Medina in the Kasbah district, Riad Dewy is a 1-minute walk from the Tombeaux Saadiens and 5-minutes walking from the El Badii Palace. 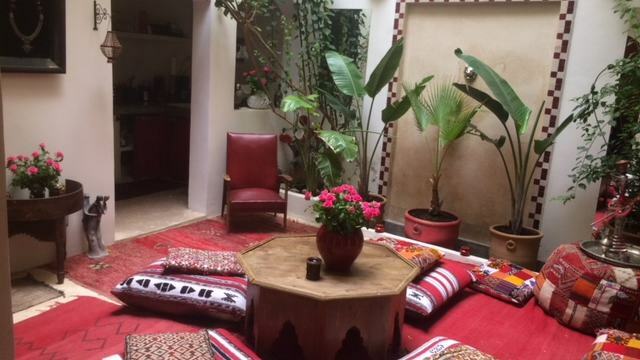 Jemaa El Fna Square is at 10-minutes walk away. 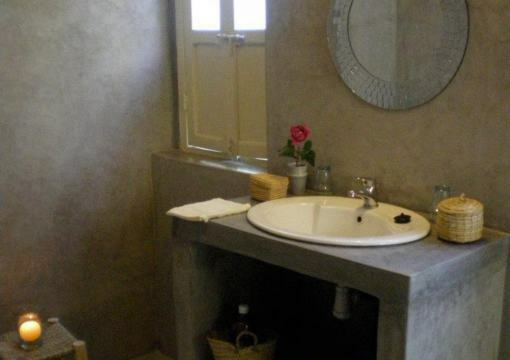 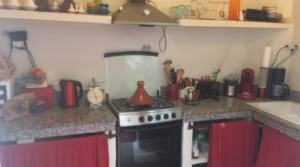 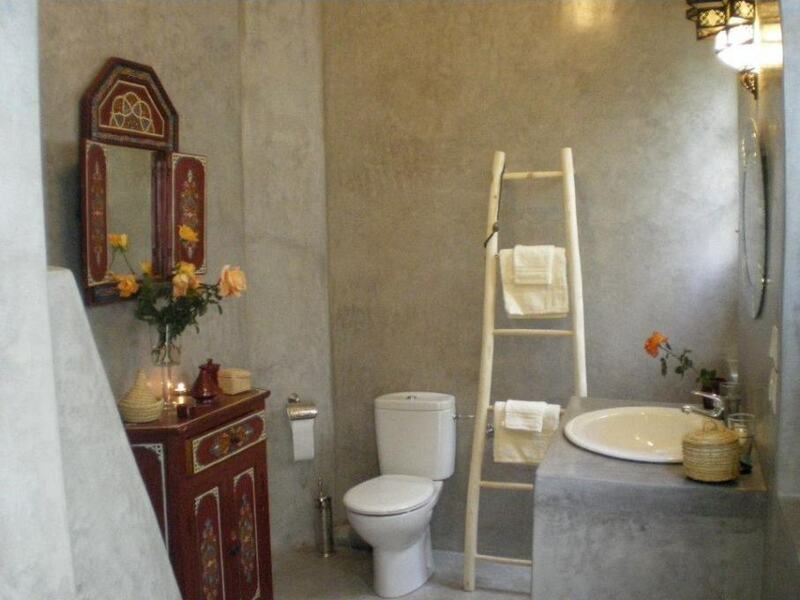 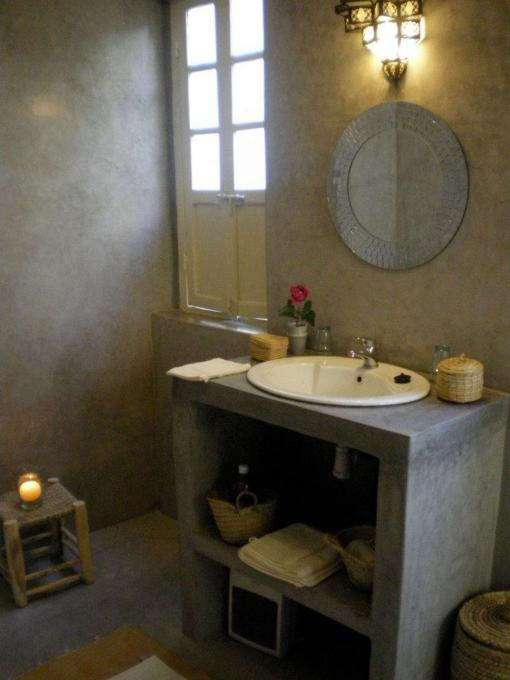 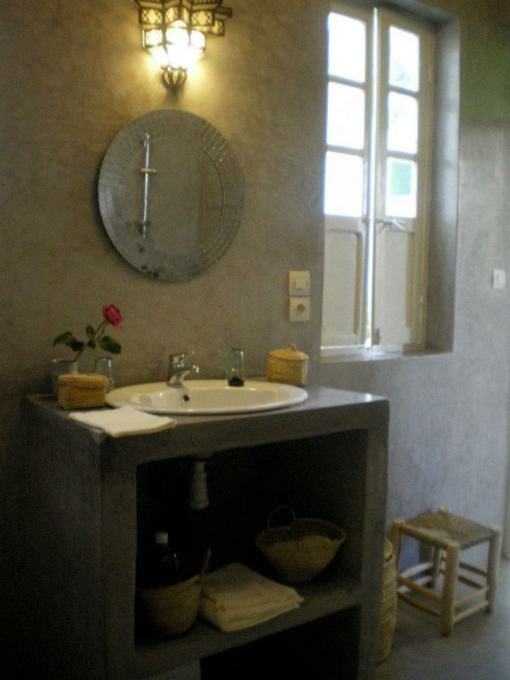 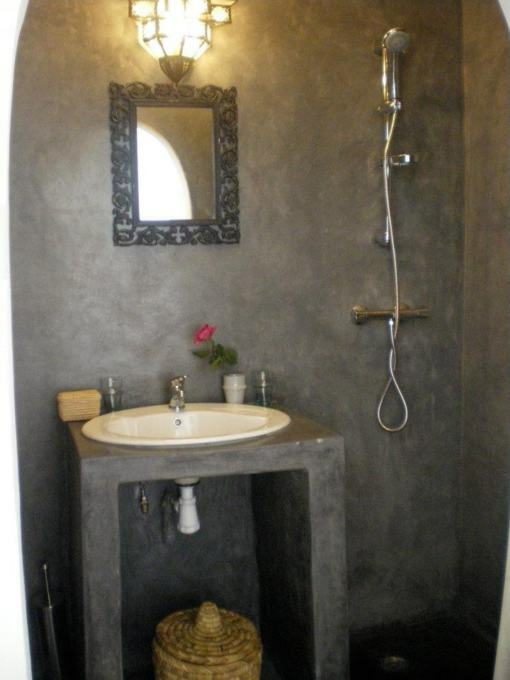 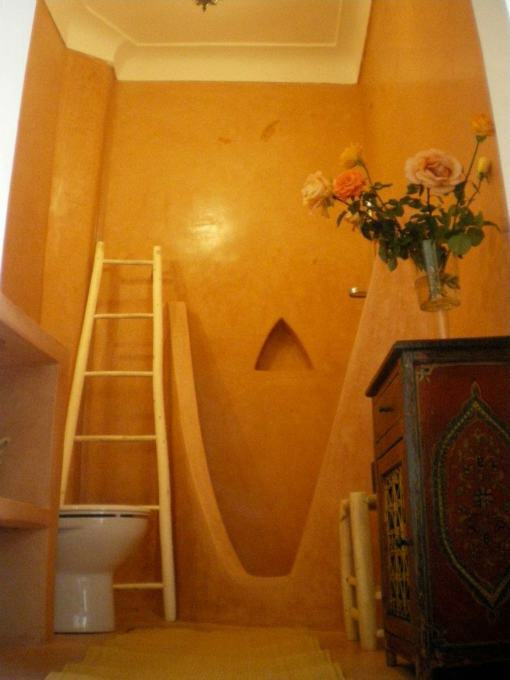 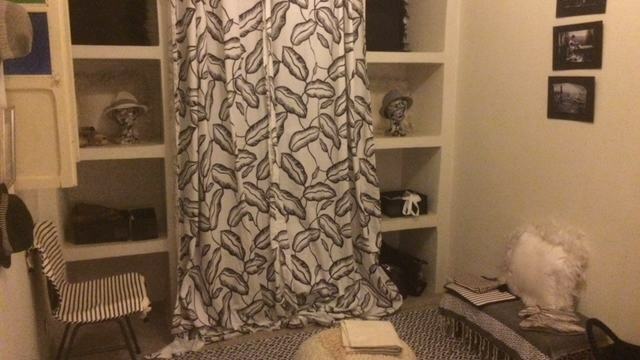 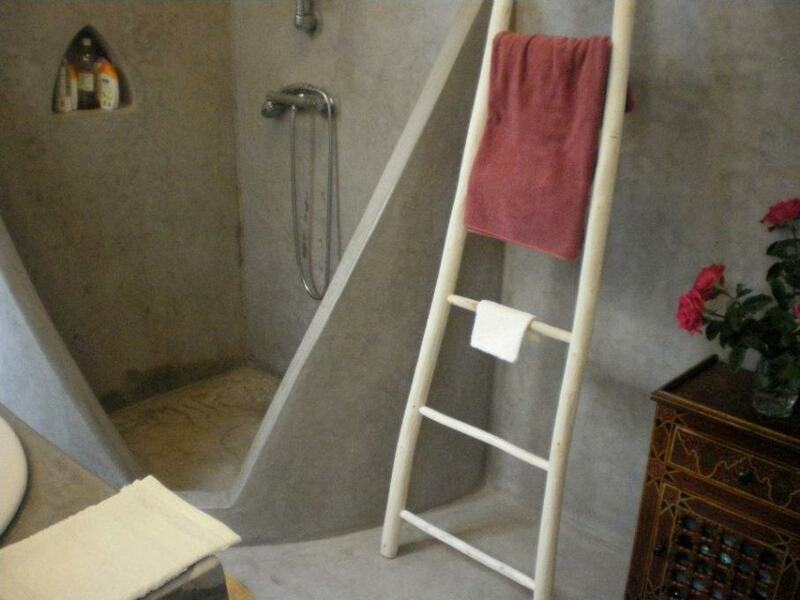 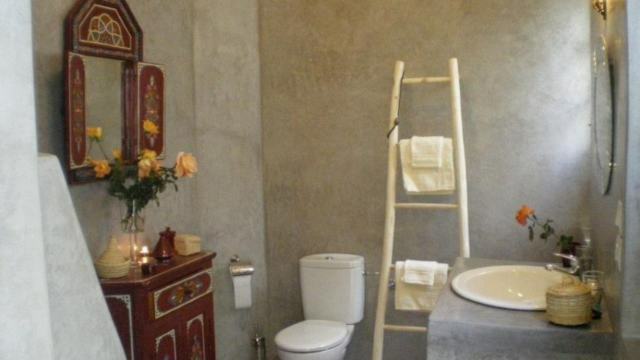 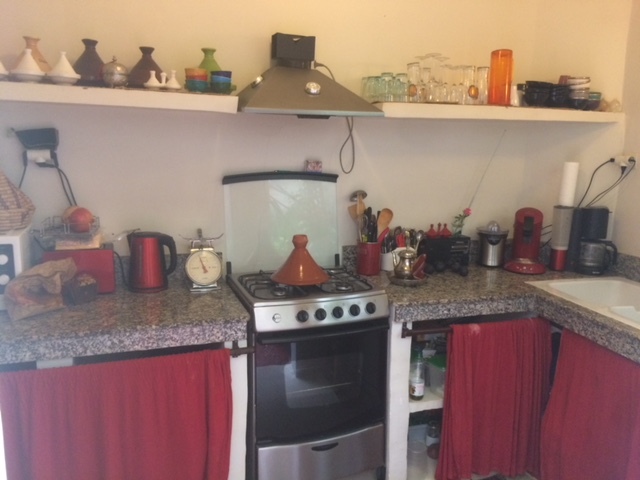 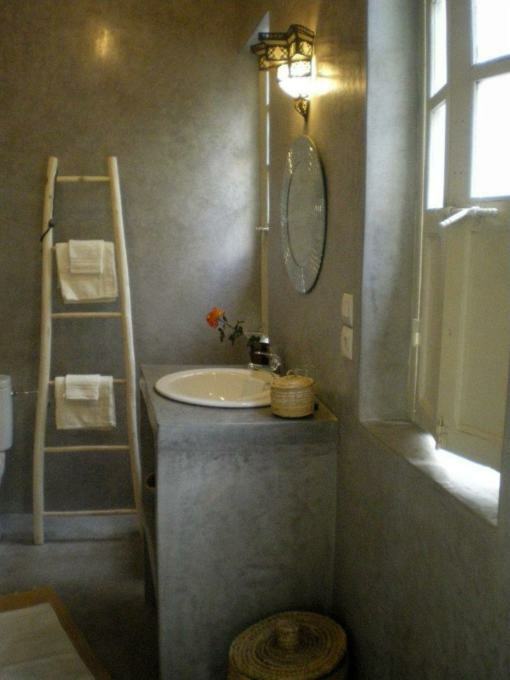 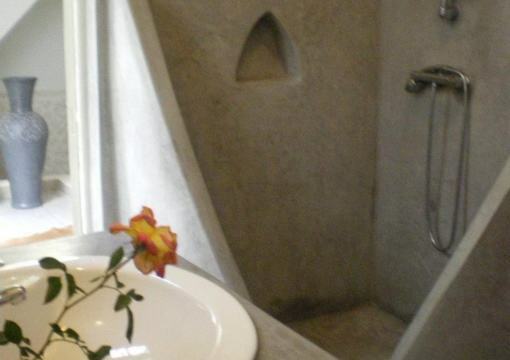 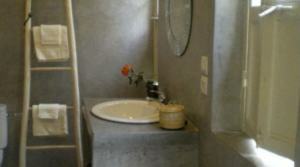 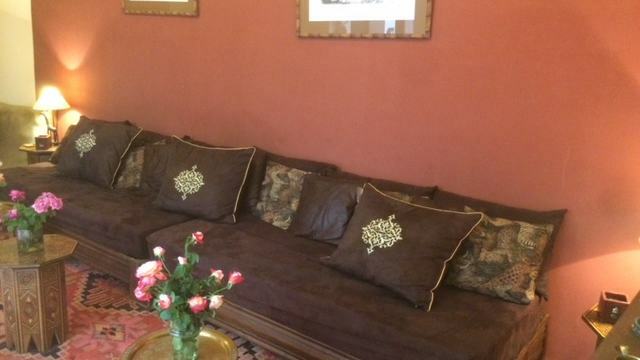 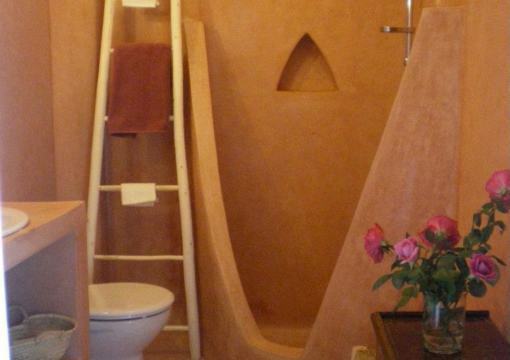 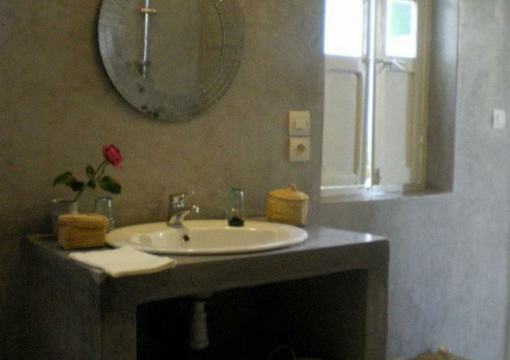 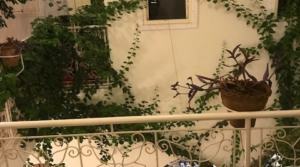 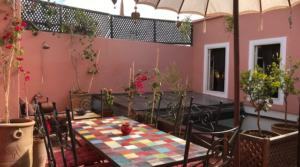 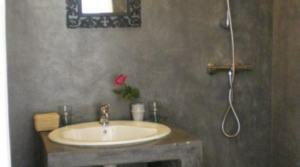 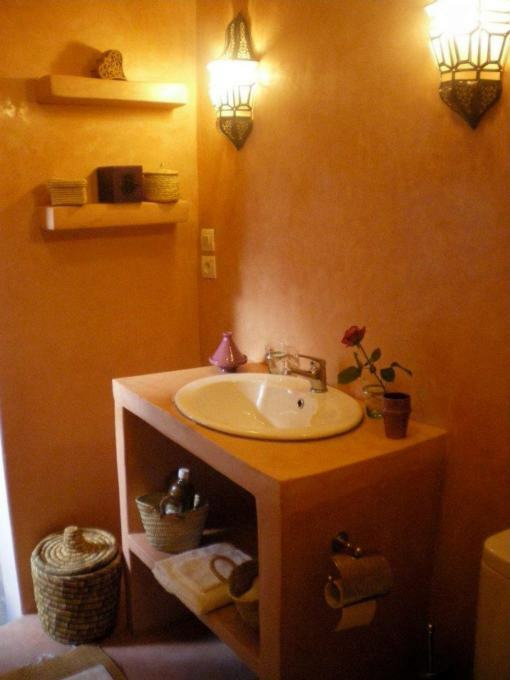 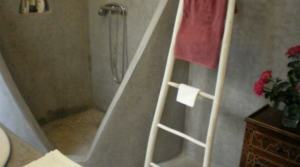 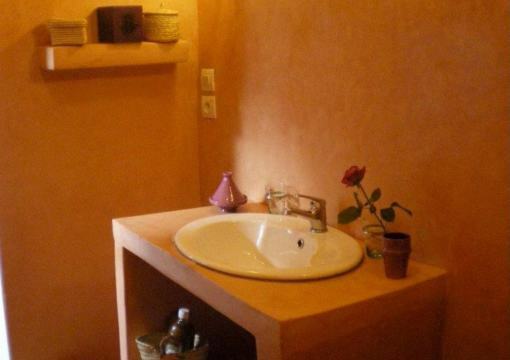 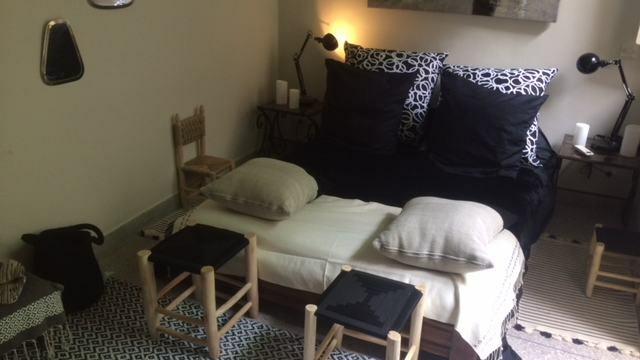 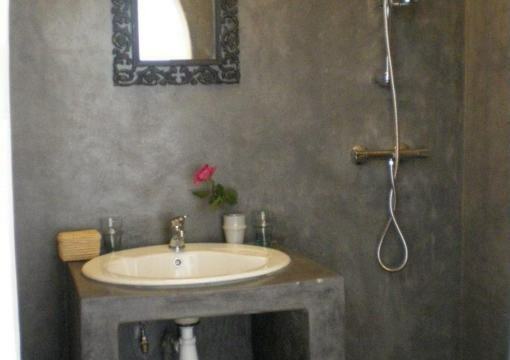 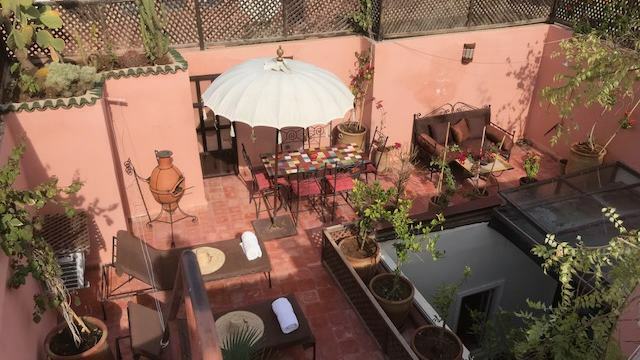 This pretty riad is composed of 3 bedrooms with 3 bathrooms and a terrace with a solarium area. 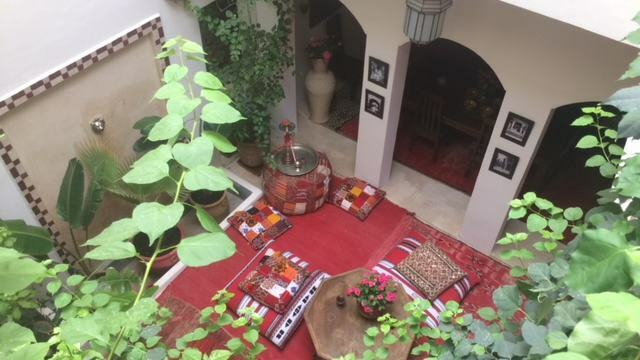 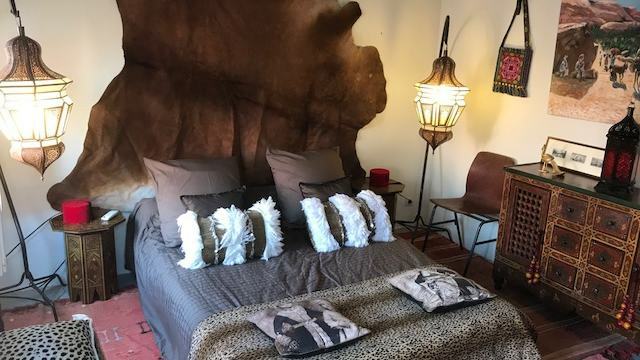 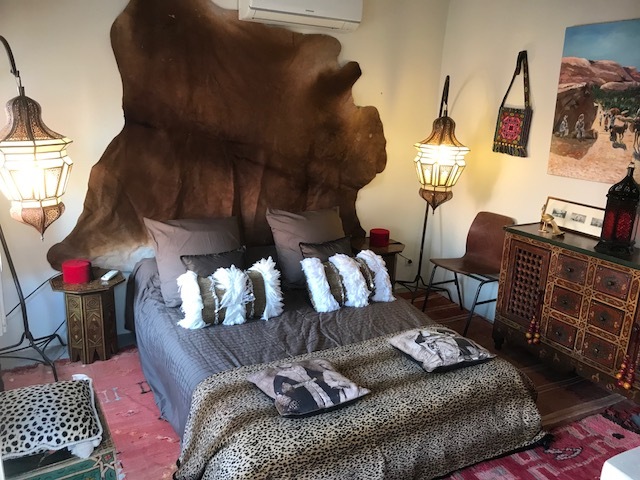 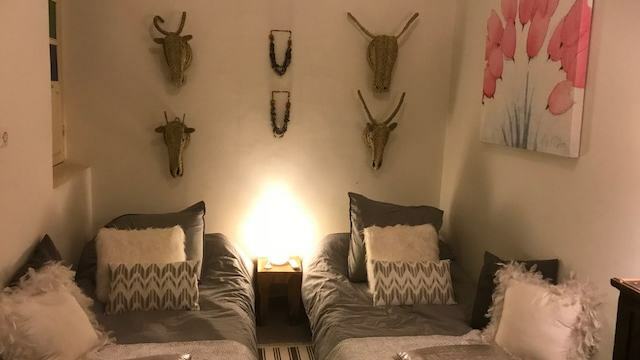 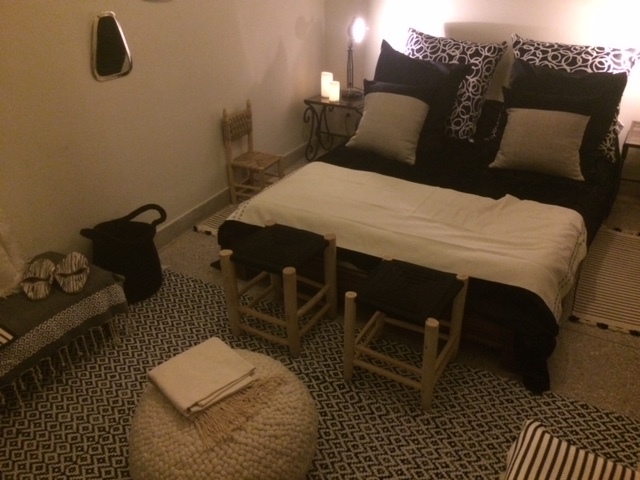 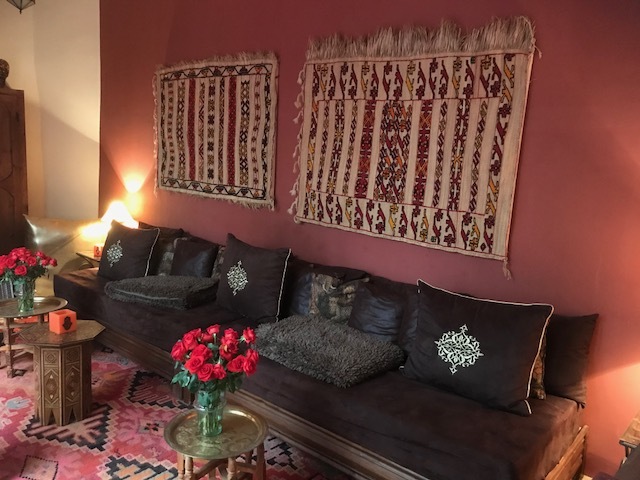 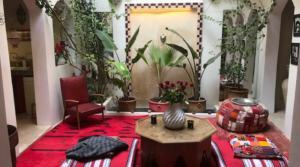 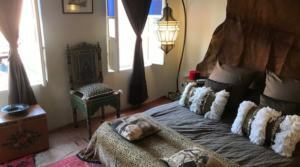 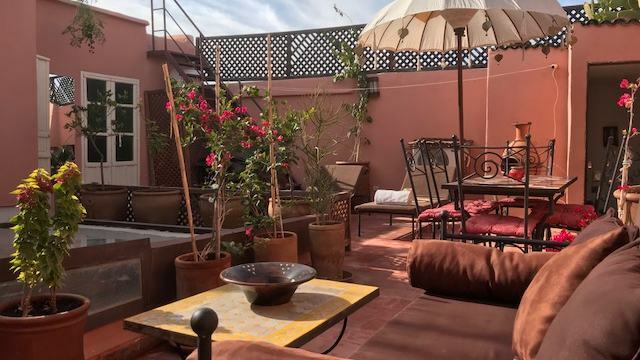 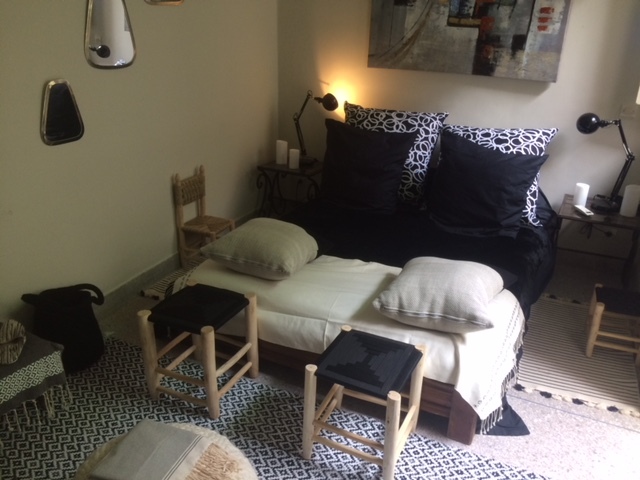 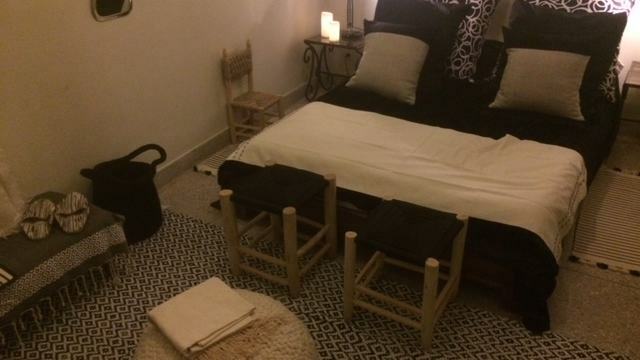 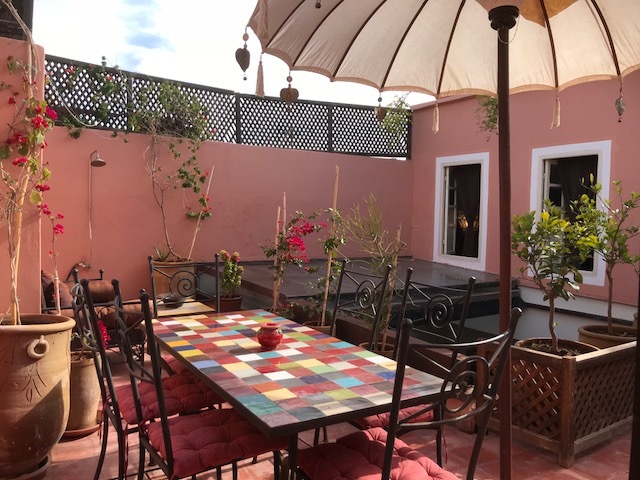 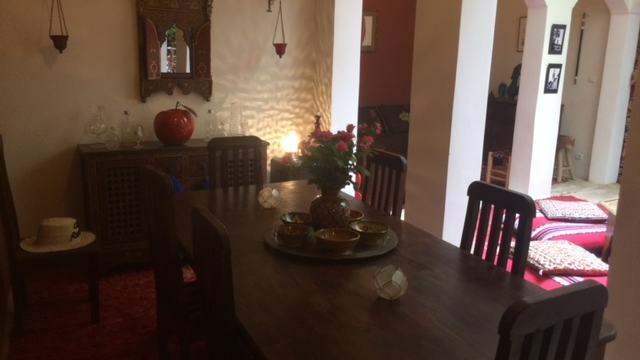 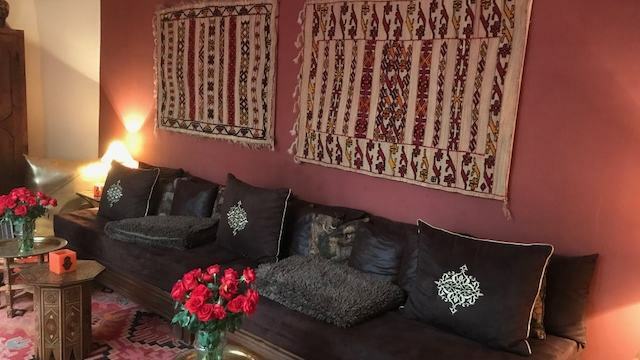 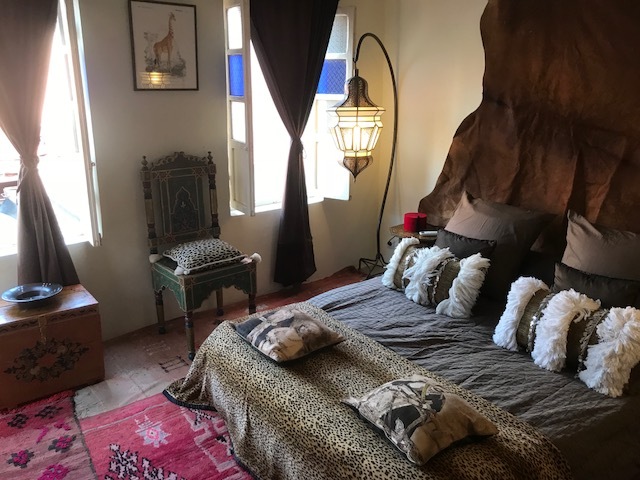 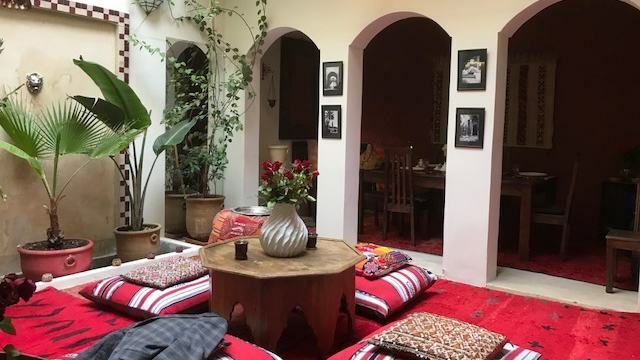 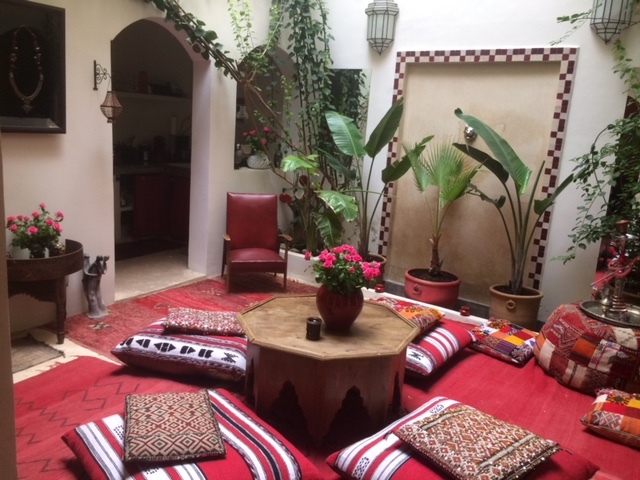 This authentic riad located in the heart of the district of Kasbah, is ideal for a large family or for a group of friends wishing to discover Marrakech on foot. 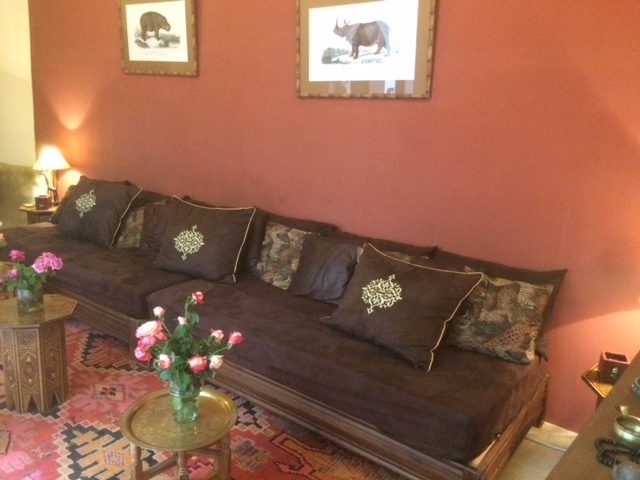 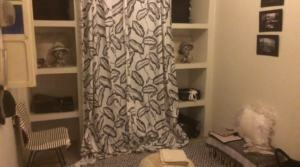 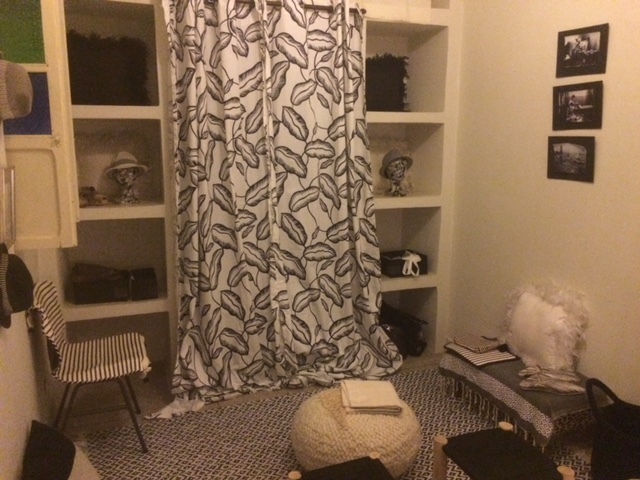 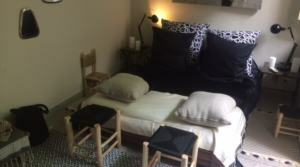 The riad has on the ground floor a comfortable and intimate patio furnished with ottomans and carpets. 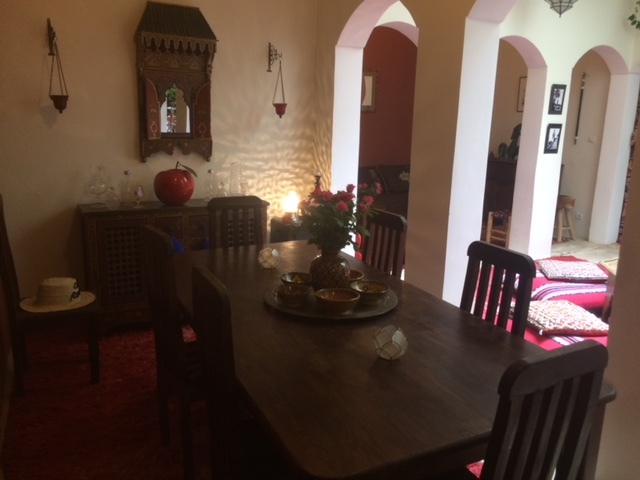 Arches open on both sides of a dining room on one side and a Moroccan living room on the other. For your comfort, this patio can be covered with a sliding canopy. 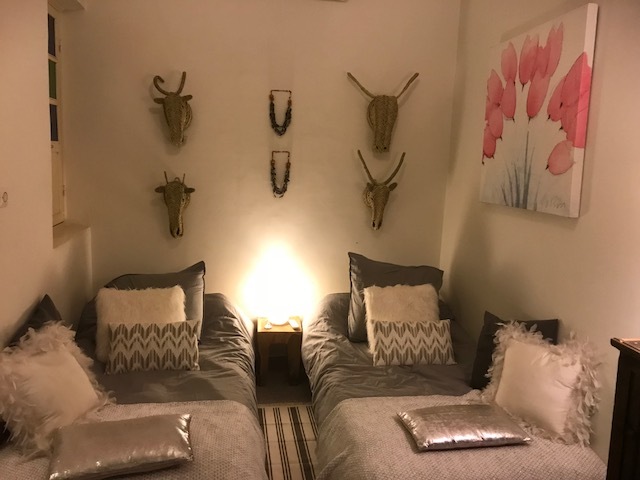 On the 1st floor are two air-conditioned bedrooms with en-suite bathrooms, one with a double bed and the other with 2 twin beds. 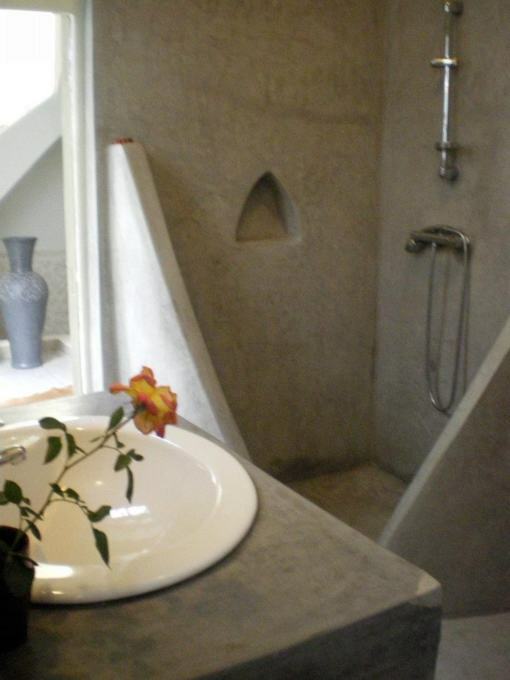 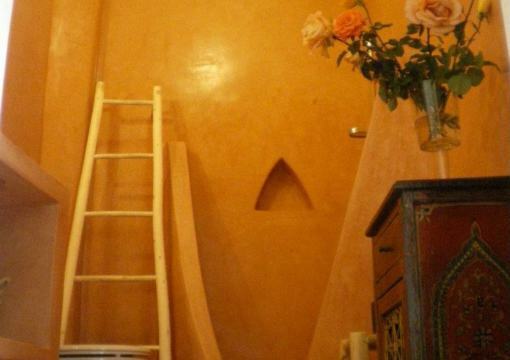 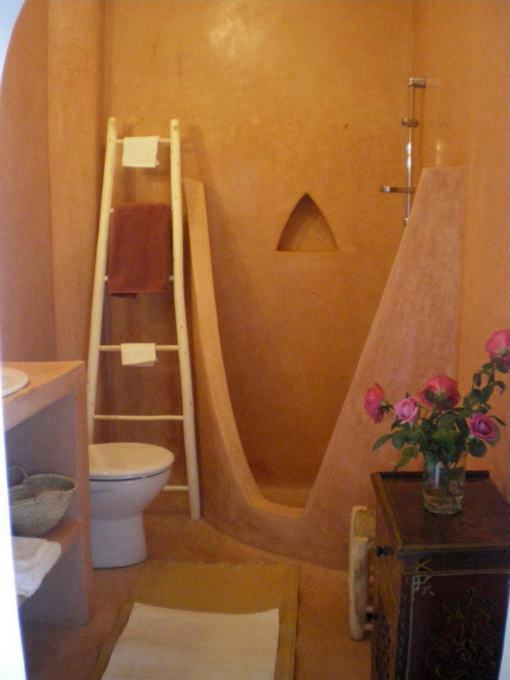 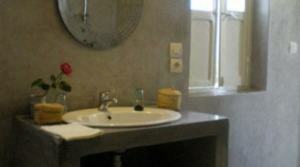 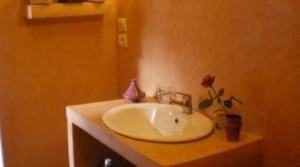 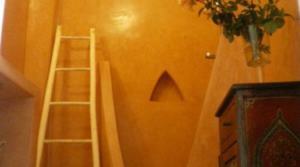 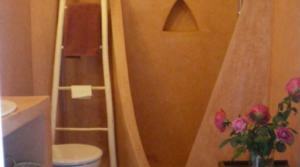 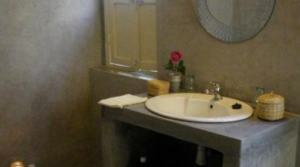 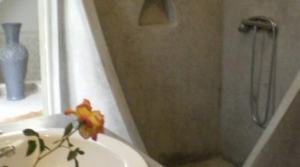 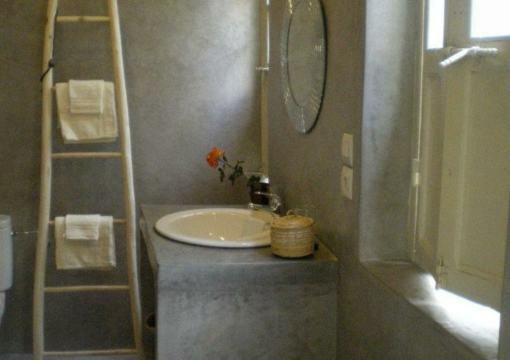 A staircase serves the terrace where is the third air-conditioned room with double bed with its private bathroom. The terrace has a dining area, a seating area and a solarium area. 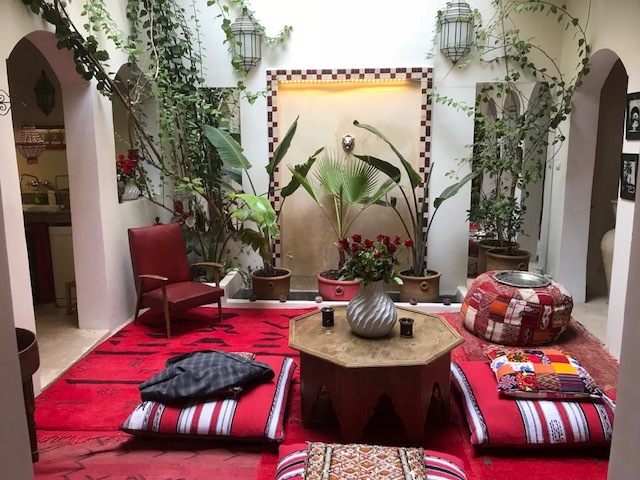 You can enjoy with friends or family the charm and authenticity of this charming traditional Moroccan Riad decorated with great taste.